As one of the first digital wealth managers to offer regulated investment advice, we’re excited to announce the launch of our Advice Centre. 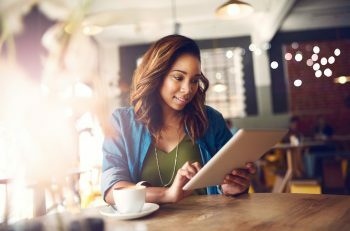 We’ve always been committed to closing the advice gap through simple and cost-effective investment advice, and our latest feature makes it even easier for you to view and update your settings. At Moneyfarm, we pride ourselves on providing a unique combination of simple investment advice and discretionary management to help you grow your wealth over time. 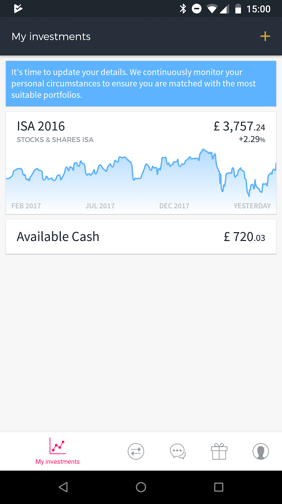 You can now access investment advice at the touch of a button, and at a fraction of the price of the traditional industry. It’s crucial that we continually check the suitability of your investments to help you reach your financial goals. Our suitability algorithm runs every time you make an update, or every month, whichever comes first. If we think you need a different portfolio, or should update your details, you’ll see a notification when you log-in. From the Advice Centre, you’ll also be able to see the investor profile and portfolio we have matched you with. 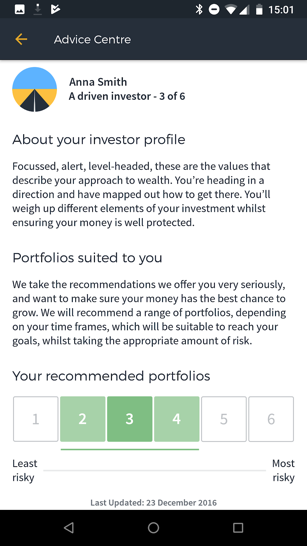 When you open an account with Moneyfarm, you’ll answer a set of questions that will allow us to assign you an investor profile, which acts a bit like your investor DNA. It outlines your personality, behaviour traits, goals and financial background. Understanding your investor profile is one of the first steps to reaching your financial goals. Reflecting this through the allocation of assets in your portfolio will give your money the best chance to grow. Once we understand your investor profile, we combine it with your time horizon, amount you’ve invested versus your current wealth, and preferred risk level, to match you with an investment portfolio that’s specifically built and managed by our team of experts. Our investment advice continues for as long as you invest with us, and at no extra cost. We’ll let you know if we think anything needs to be changed. We know that whilst you’re invested with us, your goals, financial background and risk appetite might change. That’s why we give you the opportunity to edit your portfolio from the Advice Centre, where you can either retake the investor profile questionnaire, or update your time horizon. You can choose to edit your portfolio settings every six months, and you can edit your investor profile once a year. We may sometimes prompt you to do this. If any of the adjustments lead to us recommending a different portfolio, you’ll be asked to accept the new changes. There will be no extra cost, just the promise that we’ll always offer you an investment suited to you. That’s part of the Moneyfarm investment advice offering. At Moneyfarm, we provide cost-effective investment advice to those who have been traditionally unable to invest, whether that’s because people lack experience, are time-poor, or don’t want to pay the expensive fees of traditional advisors. In the traditional wealth management industry, people outnumber Independent Financial Advisers 2,700 to one. With a large number of people in the UK being ignored by the traditional wealth management industry, the advice gap is well-documented and common. Unfortunately, the result of this advice gap can be costly, without advice many fail to realise the full potential of their savings, and miss out on some great life events as a result. At Moneyfarm we believe investment advice helps people make better decisions with their money, therefore helping them lead a better life. The world-class technology behind our advisory service enables us to provide consistent and accountable investment advice and ongoing suitability tests. Whilst we pride ourselves on our world-class tech engineering, this doesn’t replace the need for individuals. There will always be a demand and requirement for human touch, empathy and intelligence. At Moneyfarm, you can always pick up the phone to talk to one of our qualified investment consultants.